The club's origins go back to 1884, and they entered the Kent League for the first time a decade later. The club name however was not really consistent, with the team turning out as Faversham Town, Faversham Invicta, Faversham Services, Faversham Railway and Faversham Rangers among others before being disbanded shortly before the Second World War. Faversham Town reformed after the war and entered the Kent League in 1947. 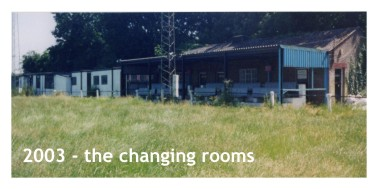 The club moved to its current home - Salters Lane the following year. Faversham Town had a decent amateur side but found the going tough against some of the professional Kent League clubs. Nevertheless, they won the Kent Amateur Cup in 1957 and 1959. With the Kent League folding in 1959, the club had spells in both the Aetolian and Greater London leagues before rejoining the revived Kent League in 1968. Success soon followed. They were Kent League champions in 1970 and 1971, and lifted the Kent Amateur Cup three years in a row between 1972 and 1974. 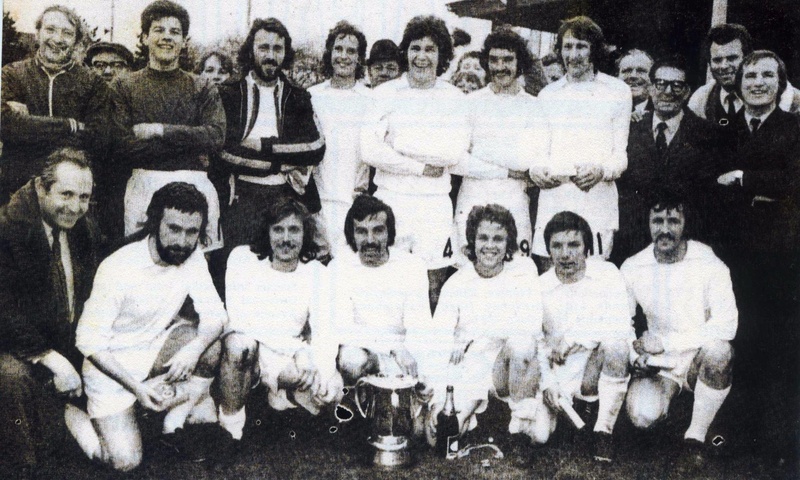 After a brief flirtation with the Athenian League in the mid seventies, the club returned to the Kent League, winning the Kent Senior Trophy in 1977. The following season they repeated this success and were also crowned Kent League champions, completing a famous "double". The Lilywhites won the Kent League again in 1990, but league form dipped in the 92/93 season and was to stay that way for several seasons. The club managed to to reach the final of the Kent League Challenge Cup in 2000, but things were in rapid decline. Matters reached crisis point in 2003, when the KCFA suspended the club for non payment of fines, with the club's operators blaming just about everyone for the mess except themselves. In the following months, the once proud Salters Lane ground was systematically wrecked by vandals. Meanwhile, club trustees led by businessman Ray Leader fought a desperate battle to heal a widening rift with the previous regime over the ownership of the club and ground. In a separate development, the Faversham Town Independent Supporters Club had been formed, and quickly gained a membership of over 300 paid up members in the market town. This was despite the fact the club had no team, no manager, and a ground that had been totally wrecked by vandals and now resembled a bomb site. Perhaps the real turning point came when trustees and Independent Supporters Club committee members got together and declared an alliance to get the club back on its feet. An interim club committee was formed, and the long road to recovery was started. The revival was slow, but things finally started to happen. The ownership dispute was settled and access to the ground obtained. Volunteer workers were confronted with completely smashed and vandalised buildings, and shoulder-height grass on what had been the pitch. A massive clear up operation began but it was back breaking work. Meanwhile, paperwork was put in order with a new club constitution written and agreed. 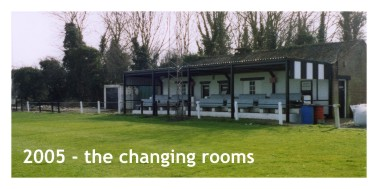 Kent County FA allowed the club to retain their coveted senior status subject to several conditions. Local authority grants were applied for and secured, sponsorship deals obtained, and the club embarked on a range of fund raising initiatives. Slowly but surely, Salters Lane was returned to its former glory, before the future became even brighter with the erection of brand new floodlights. The revival of club and ground from the jaws of death was nothing short of a miracle - a story that would surely rival the efforts to revive both "The Valley" at Charlton, and Accrington Stanley F.C. The revived club played their first season back in 05/06, competing in the Kent County League and finishing as runners-up. Having passed ground inspections and fulfilled minimum criteria, promotion to the Kent League was confirmed, and Faversham Town had at last "come home". Season 2007/08 saw the arrival of Justin Luchford and Jimmy STrouts taking over the management with Town second bottom of the league. The team sunk to bottom before the pair gradually steered them up to mid table. 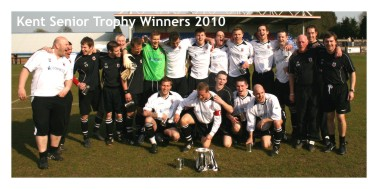 Strouts soon left for personal reasons and Luchford, along with Clive Walker, took the Lilywhites to the Kent Senior Trophy final in season 2009/10, beating Greenwich 2-1 to lift the trophy. A week later, they were crowned Kent League Premier Division champions. Towards the end of his first season in the Ryman League, and with Town within touching distance of the play-offs, Luchford resigned. His place was taken by his assistant Ray Turner. Turner took charge of the last seven league games securing eighth spot - the highest position of any Kent team competing at that level. Another significant milestone was reached in 2010 when the revamped stadium was renamed Shepherd Neame Stadium after a sponsorship deal with the town's famous brewery. Having consolidated their position as a mid-table Ryman South side during the first two years of Turner's reign, Faversham embarked on one of the best seasons in the club's history during the 2012/13 season. The Lilywhites lost just three away league games all campaign on their way to finish third and reach the Ryman South play-off final against all odds. However, at Maidstone United's newly-built Gallagher Stadium in front of a 2,226 strong-crowd, Town were unable to pull off one final upset against a side with huge investment and backing. Maidstone cruising to a 3-0 victory to deny Faversham their first taste of Ryman Premier League football. Town spent the majority of the 2013/14 campaign just outside the play-offs, and ultimately had to settle for tenth position in their fourth season in the Ryman South. Off the pitch, Town continued to grow with another significant advance. They came together with nearby Faversham Town Youth & Juniors to form a new youth section, meaning boys were now playing in the famous white and black kit from the age of five. The move also created a route through from youth development into the senior side and enabled the newly-expanded club achieved FA Charter Standard Community Club rank, marking their rise in status. The Lilywhites took another step forward in February 2014 with the announcement of an ambitious project to redevelop Shepherd Neame Stadium. The plans - broken down into five phases - include rebuilding the changing rooms, adding hospitality an function rooms, extra seating in the stands and a new stadium entrance. A coffee shop and retail store will then be added, with meeting rooms and offices also being built to bring in additional revenue. A new 120-seater stand, fitness centre and sports hall will also be built. Fundraising for the project then began. Faversham had a productive 2014/15 season, scoring 111 league goals - more than any other Ryman League side that campaign - and amassing a record 97 points to finish in third place in the Ryman South for the second time in three seasons. But the club suffered more play-off heartache, as they lost 5-4 on penalties at home to Merstham in their Ryman South Play-off Semi-Final following a goalless draw away. Faversham came fifth at the end of the 2015-16 season, again reaching the play-offs, but after beating Dorking Wanderers 2-1 in the semi-final they lost 3-0 to Worthing in the final, leaving them knocking once more on the door of the Ryman Premier Division. The 2016/17 season was one of transition for the Lilywhites on the pitch, and success off it as they forged ahead with Phase One their ambitious rebuilding programme. A tenth place finish was achieved with a young squad as manager Ray Turner dealt with a number of unexpected player departures, which led to a mid-season wobble. However, in May 2017 MP Helen Whately opened the new changing rooms as the first stage of the stadium redevelopment was finally completed. Another significant advance came when, for the first time, the club were able to field Kent Youth League standard squads at every age group from Under 13s upwards in the 2017/18 campaign, a mark of their growing stature in the region and of their commitment to a successful youth policy. In a further development, the Under 21s also switched to become an Under 23 Development team with the aim of helping young players bridge the gap from the Under 18s to the first team. The progress marked the fruition of a vision set out five years earlier by Ray Turner and Head of Youth Chris Greenfield, who was promoted to Under 23s Manager.